Crytek, the developer behind Crysis and Xbox One launch game Ryse, is having trouble paying employees, and the company has been bleeding staff since March, according to people who work there. In addition, from what I hear, the multi-national studio has had to cancel work on multiple games over the past few months, including some original prototypes and a sequel to last fall's Xbox One exclusive, Ryse. Current and former Crytek employees describe a tense, unstable environment, plagued by poor communication and a number of high-level staff departures at the company's biggest studios in Germany and Britain. In extensive conversations over the past few weeks, developers have described a company in turmoil, where staff openly talk about leaving or looking for new jobs. One employee estimates that some 100 people have left over the past three months. News of Crytek's woes first entered the public eye over the weekend, as rumors started to swirl that the company is in trouble. Crytek representatives have publicly denied all allegations that the company is facing financial difficulties, but evidence is mounting that something is wrong at the 800-person company, not just through Glassdoor reviews and anonymous comments on Kotaku, but through our own sources, who paint a morbid picture. Over the past few weeks, I've been in touch with ten current and former employees at the independent game developer. I've also spoken to a handful of people who have talked to current Crytek employees. All of these sources, speaking anonymously in order to protect their careers, describe a company that has been frequently missing payments and regularly assuring employees that everything will be fixed in the future, only to continue sending out checks late. In conversations, employees expressed a great deal of frustration with the lack of communication within Crytek's studios. One odd company mandate, according to four current employees, was that nobody could talk about salary issues via e-mail, presumably to prevent anyone from leaking that there have been problems. Almost all conversations about payment issues at Crytek's studios are handled in person, which is one reason it's taken so long for me to report this story, after first hearing rumblings way back in March. Still, many of Crytek's staff are unhappy. They've spoken out in hopes that publicizing the issues will push for some change. "Trying to confine the problem rather than tackling it is not the way to go about this anymore; it's too big now," said one current Crytek employee. "Honest communication, inclusion, and a work environment based on trust could have gone a long way, and may have stopped people from leaving." Crytek, which is currently developing the shooter Homefront: The Revolution and the MOBA Arena of Fate, consists of several studios across the world, including a main office in Frankfurt, Germany and satellite studios in other cities like Austin, Texas and Nottingham, UK. I mostly spoke to people in Crytek's Frankfurt and UK offices, but employees have assured me that these payment issues are affecting the entire company. In March of this year, according to four people who have worked at Crytek Frankfurt, paychecks came two weeks late. Though missed paychecks were not an anomaly for Crytek—the company has been late on payments a few times over the past few years, two sources say—this was particularly unusual because of the circumstances surrounding it. 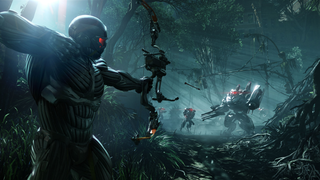 A few months earlier, Crytek had cancelled an original game that was set to enter pre-production. Then, in February, word came down that Crytek would no longer be working with Microsoft to make Ryse 2, according to three employees. Crytek's work on the game was cancelled—because of a conflict over who would own rights to the franchise, those employees say—and Microsoft would no longer be sending them checks. "Suddenly the direction everyone saw us go in was not that clear anymore," one current Crytek employee said in an e-mail. "It was obvious that we didn't have any big time publishers at our back to finance our development... A lot of people started to get frustrated then (and started to look for other work), as the strategy was not clear to the employees." As an independent video game developer—one of the largest in the world—Crytek survives in part by taking big contracts from big publishers like EA and Microsoft. If a multi-million-dollar contract is unexpectedly cancelled, any independent studio, no matter how big, could find itself quickly strapped for cash. Crytek employees told me that the company was reluctant to lay people off, so their solution was to delay paychecks until they could find another solution. On top of those cancelled projects, Crytek employees say the company's recent big-picture decisions have also led to some struggles. One common complaint among staff is that the company has shifted gears from making big-budget shooters like Far Cry and Crysis to free-to-play games like the upcoming Arena of Fate and the unfortunately-titled shooter Warface, which bombed everywhere but Russia, according to three employees. Early last year, Crytek boss Cevat Yerli told VentureBeat they planned to transition to making only free-to-play games, which worried a number of employees, even as they continued working on Ryse and the upcoming Homefront: The Revolution, both $60 console games. "Instead of focusing on the core strengths of the company, which would be the [Crytek] engine and innovative PC titles, we simply jumped at every next big thing in the industry," said a Crytek employee. "Except that each time we did, it was a little too late and we were running after our competitors. There's no sense of identity at this point and I think that frustrates both employees and fans." At the beginning of March, just after Ryse 2's cancellation, Frankfurt employees didn't receive their checks, according to almost all of the people I spoke with. These payment issues trickled down to other studios at the company, too. Some Crytek UK employees have told me they were only paid 30%-40% of their paychecks, and others have reached out to say they haven't been paid in months. (I've also heard from people who say their friends at Crytek have not been paid in various amounts of time.) Different people have different experiences to share; some say they were paid properly in April and May, while some say they were not. Three Frankfurt employees say they've watched Crytek co-founders Cevat and Avni Yerli continue to drive their Ferrari sports cars to work over the past few months, which one source called "a slap in the face" to employees who weren't getting paid on time. One former employee added that the company spent a ton of money on expensive chairs, laptop bags, and other studio perks, including first-class flight tickets for high-level employees. "There was no expense spared on anything," that employee said. "Even when the financial troubles started, people were still flying between studios regularly, and while salaries didn't get paid, the travels were still authorized," said a second employee. Current and former Crytek employees also complain about bureaucratic processes at the company, describing an environment where, according to one former employee, developers must navigate "layers upon layers of middle management" in order to get things done. "At one point it became a bit of a joke within the company that some people didn't even know who to report to anymore," one current employee said. Are things getting better? During a staff meeting in Frankfurt this month, Crytek's upper management promised they'd be receiving a major cash injection soon, according to two people who were in attendance. But as of yesterday, people I've talked to say they have not received full paychecks. A few weeks ago, when I first started hearing word of these issues, I reached out to Crytek PR head Jens Schäfer for comment, and was told that "the information [I] got is not correct." At E3 two weeks ago, I went to Crytek's booth and asked Schäfer if the company was having payment issues, and he denied that they were, instead promising to get me in touch with one of Crytek's co-founders after E3. Since then, Crytek's PR representatives have not responded to five e-mails I've sent requesting their side of this story, even as the story has developed over the past two days. "It upsets me greatly that Crytek continues to deny these allegations," one former employee told me in an e-mail. "They are all true!" Yesterday, Crytek co-founder Avni Yerli told staff not to talk to the press about anything that was happening at the studio, according to three current employees. But people at Crytek are frustrated. They want things to get better. So now they're speaking out. You can reach the author of this post on Twitter at @jasonschreier or by e-mailing jason@kotaku.com.